Is Mario the true face of 21st century gaming? Nintendo are closing in on 30 million sales for Nintendo Wii, with the company optimistic about future sales of their family oriented console. 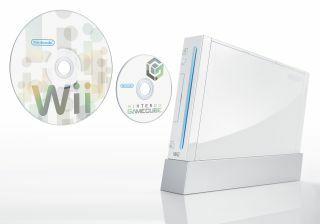 The Nintendo Wii has become a massive crossover success for the company, cornering the family market and opening gaming out into whole new areas. The motion-sensor driven gameplay has proven to be a massive hit with families – and the reintroduction of simple games that don't require hours of practices to play has inevitably marked it out as different from the more gamer specific PlayStation and Xbox. Total Wii sales are currently at 29.72 million units – and with Nintendo predicting a 34 per cent rise in the coming year, the landmark of 30 million will follow sooner rather than later. Indeed, but for early stock problems this figure might have been surpassed already, and with Nintendo already confirming that they are thinking about the successor, the Wii brnad is destined to be around for some time to come.